How To Sign Your First Social Media Marketing Deal Even If You’re A Total Beginner With Zero Sales Experience! I authorize Jordan Platten to send me emails about his products or services to the details provided above. I'll Pay For The Book, You Cover The Shipping! Tell Me Where To Ship Your FREE Copy Today! How to get started today, even if you have a full time job or are in full time education. How to sign your first marketing deal in as little as 15 minutes. 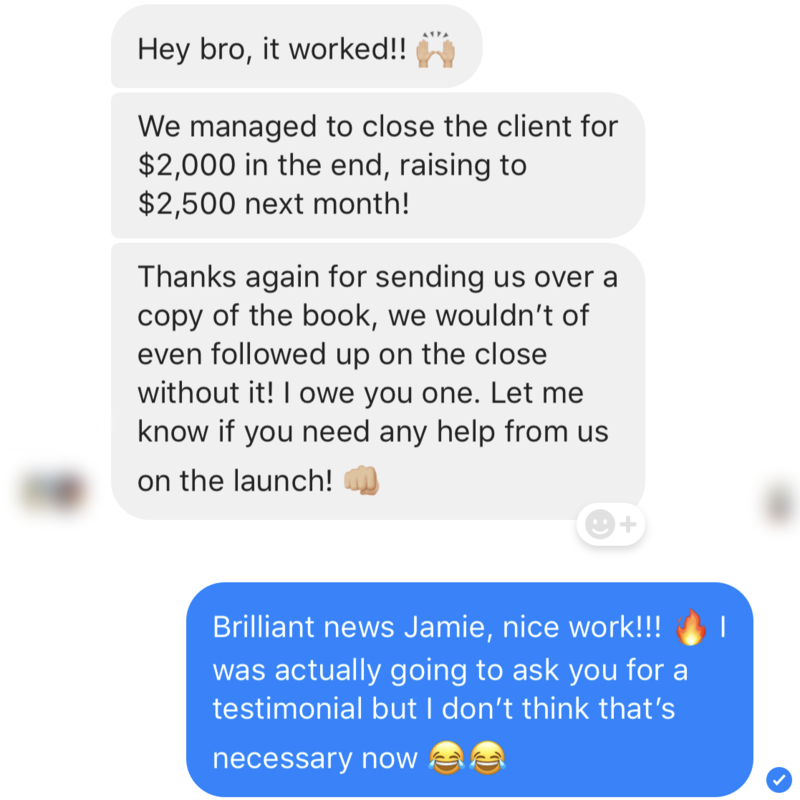 How to get ridiculous results for your clients without any previous marketing experience. How to sign your first 4 figure deal in as little as 15 minutes. Jordan is a university dropout, entrepreneur and digital marketing expert from the UK. At the age of 23 he scaled a marketing agency to multiple six figure profits, with clients all over the world. Having quit the corporate rat race, he now works less than a quarter of the hours he did while enjoying a life of complete freedom. Jordan made it his ongoing mission to help others on the pursuit for a better life and has since mentored thousands of aspiring entrepreneurs. At the age of 23 he scaled a marketing agency to multiple six-figure profits, with clients all over the world. Hurry, This FREE Offer Can't Last long! We only ordered a limited number of copies for this promotion and it takes 4 weeks to re-order another batch so this is likely the only time you'll see this page. Jordan has helped thousands of aspiring entrepreneurs create highly profitable lifestyle businesses. This book is absolutely packed with value. If you're in a 9-5 job right now, this book is going to give you the confidence to start your own business. If you're on the fence, just get it! 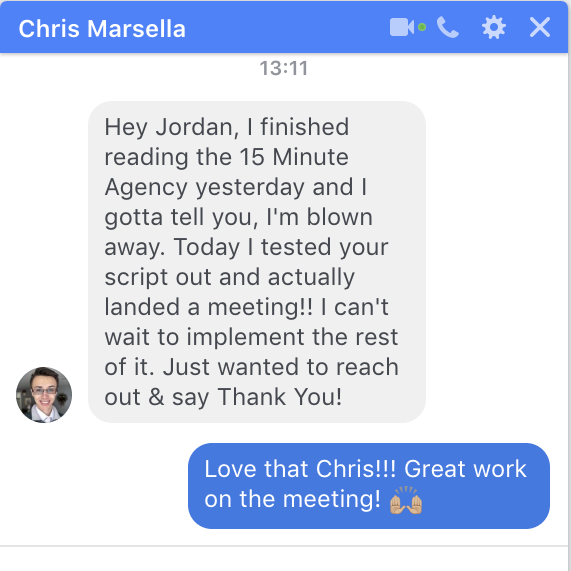 The 15 Minute Agency Shows You Exactly..
How did he do it? By capitalising on one of the most in demand services on the planet today... Social Media Marketing. How did he do it? By capitalising on the most in demand service on the planet today... Social Media Marketing. The decline of television, radio, newspapers and traditional advertising has seen Social Media evolve into THE essential marketing tool for all businesses. Yet despite this insane growth, the majority of business owners still have no idea how to use social media effectively to get more customers and even if they do, they certainly don't have time to do it themselves. This book reveals how anyone (with no prior experience) can create a highly profitable lifestyle business that provides complete freedom, simply by helping starving businesses finally get results from social media. If you're viewing this page, right now this book is free. All we ask is that you help me cover the postage and packaging costs of $9.95 Domestic or $14.95 International to send it anywhere in the world! But time is of the essence... We only ordered a limited number of copies for this promotion and it takes 4 weeks to re-order another batch so this is likely the only time you'll see this page.